February is the first month of the year where you can put the dreariness of winter behind you and experience those tentative signs of spring. The first of the early bulbs will be starting to push through the soil and with a bit of luck you may catch a glimpse of blue sky breaking the monotony of our usual winter grey. It’s a month that brings hope to the garden, but where there is hope there is also some work and the more you can get done while things are comparatively quiet then the less you will have to do when things really kick off in March and April. 1. If you have any dogwood (Cornus species) that are displaying their characteristically coloured stems over the winter period, now is the time to cut them hardback. This should be done to about 6 inches above ground level, but if you are looking at plants which haven’t been pruned for a few years then only cut them back by a third of their original height. This pruning technique is designed to encourage plenty of new growth, and this will help to produce a repeat display of colourful stems the following winter. With regards to the highly prized specimens of Cornus controversa, C. kousa and C. florida, it is best to just leave them alone - unless you are removing dead, diseased or dying wood. 2. This is also an ideal time to cut back late flowering clematis, and again they need to be pruned back hard. Cut them back to about 1 foot from the ground, leaving only a couple of stems with healthy buds to provide the new seasons growth. Removing this amount of plant material may seem harsh but there will be no flower initiation on this old wood come the following summer. This is because late flowering clematis will only flower on the top 2-3 feet of new season’s growth. Popular plants from this late flowering group include Clematis viticella, tangutica, jackmanii, ‘Perle d'Azur', and 'Duchess of Albany'. In restricted areas, you can try training two strong side shoots to grow off horizontally – like an espalier fruit tree – 12 inches off the ground. From these permanent stems the new flowering stems will grow upwards. 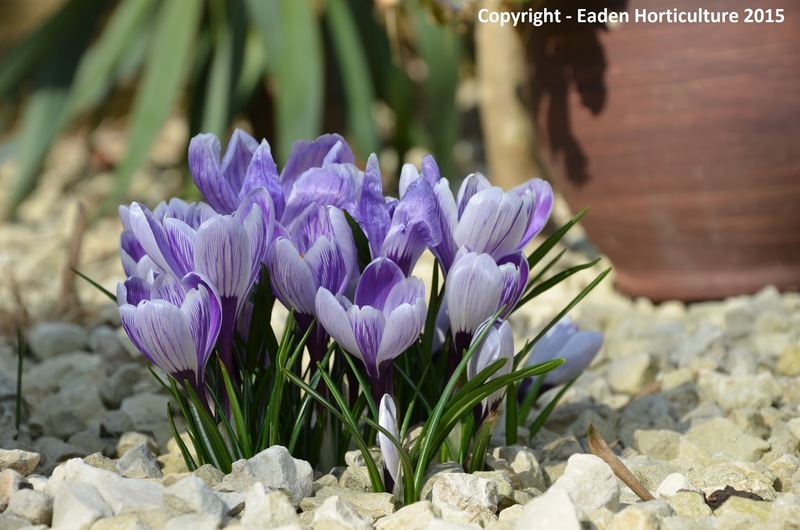 During the following spring these old flowering shoots can be cut back to a pair of plump buds near the base of the stems. 3. If you are planting asparagus this year then now is the time to start preparing their beds. They are happy in most soil types provided they are well-drained, but if you are stuck with a heavy clay soil then you may wish to consider planting them into raised beds. Dig in plenty of well-rotted manure and if your soil is particularly acid you may also need to add lime as asparagus plants prefer a pH of between 6.5 and 7.5. Remove all perennial weeds as they will compete with the growth of your crop. 4. With regards to fruit trees and bushes, this is a good time to apply a general-purpose fertiliser or top dress with manure mulch as the production of new leaves, flowers and eventually fruit can be a huge drain on the plant's resources. Apply the fertiliser or mulch over the whole root area of the plant - this will normally extend as far as the spread of the branches. Fruit bushes in particular will benefit from a fertiliser with high potash content as this helps with flower initiation and fruit production. Prune the canes of any autumn fruiting raspberry varieties back down to ground level, and again apply a dressing of fertiliser or a mulch of well-rotted compost.